you definitely want to stay at the popular Washington Hotel Plaza! 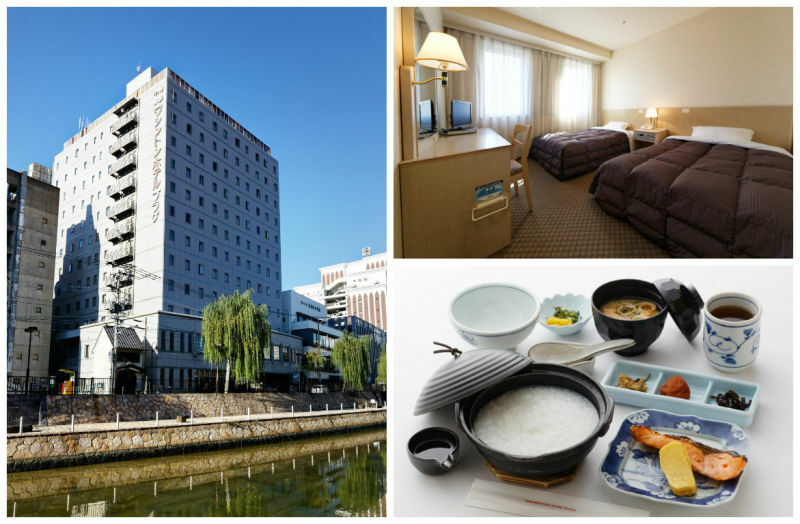 A good hotel location is a key factor for sightseeing in Hakata, Kumamoto and Kagoshima! reservation sites for the lowest price. destinations that you don’t want to miss while you stay at the Washington Hotel Plaza. Yatai village in Nakasu is synonymous with Hakata, Fukuoka! 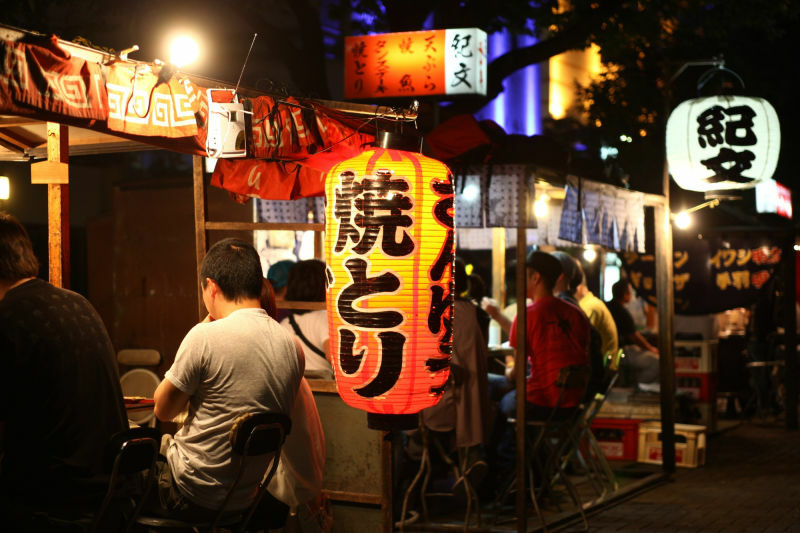 Due to the strict restrictions for food vendors in Japan, you rarely encounter high concentration of food stalls (Yataigai) like in the Nakasu district in Hakata. Have fun in Yataigai that is a dreamland for epicureans all over Japan! 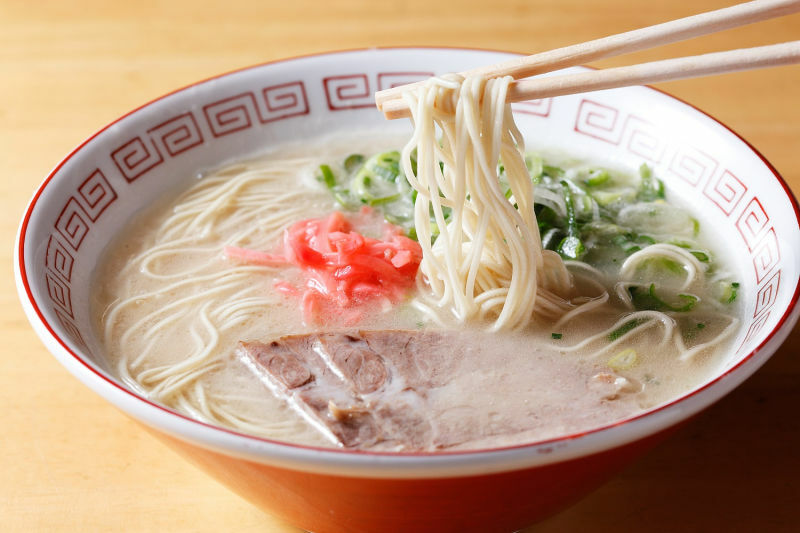 When you are in the Yatai Village in Hakata, you won’t want to miss the world famous Tonkotsu Ramen! The milky white broth is very rich and pairs well with the thin noodles. 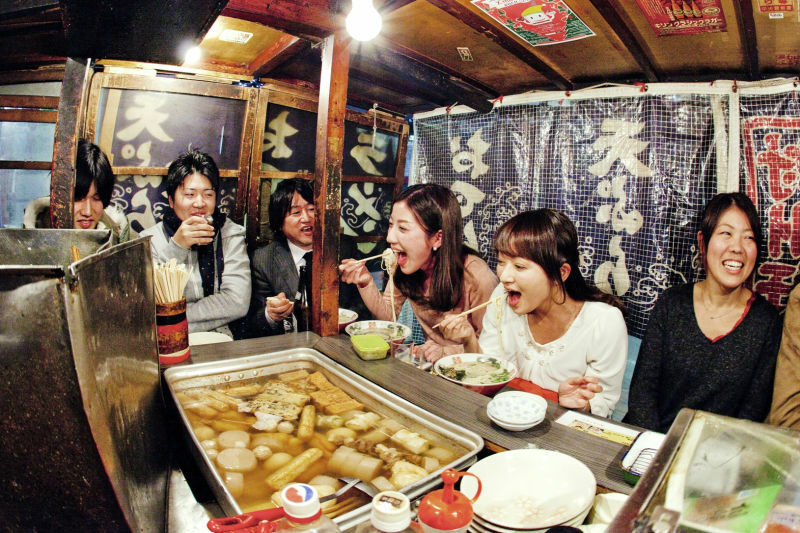 You will find a wide variety of delicious foods in the village, such as grilled skewed pork ribs and hot pot dumplings (gyoza) cooked on a piping hot griddle. They are open late at night, so why not have a beer and sample some local cuisine? 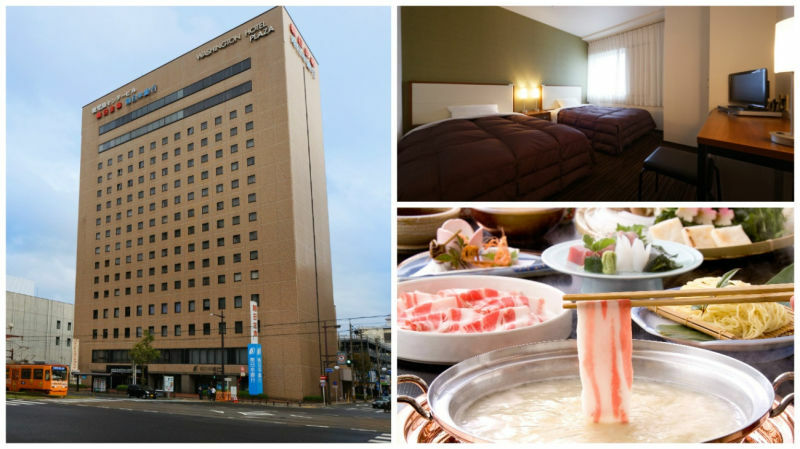 ◆Hakata Nakasu Washington Hotel Plaza is within walking distance from the Yataigai and is a 15-minute train ride from Fukuoka Airport! ・You don’t have to worry about the last train back to the hotel from the popular Nakasu Yataigai because it’s only a 5-minute walk! 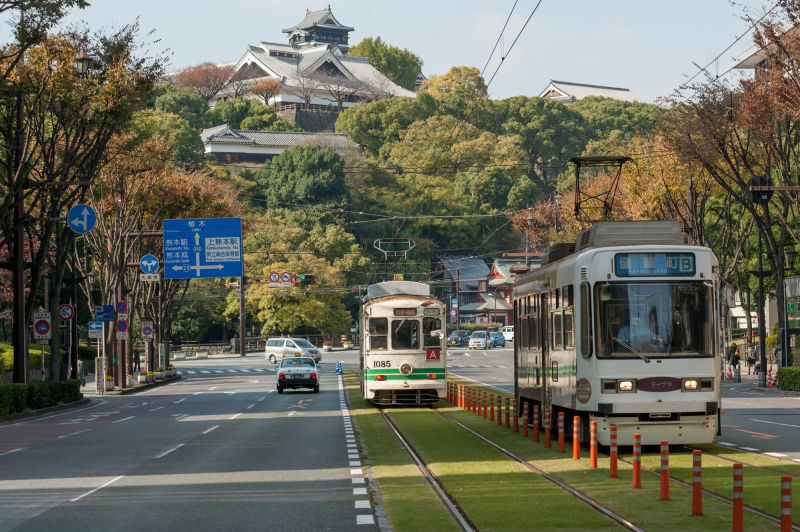 Sightseeing in Kumamoto in a Charming Streetcar! 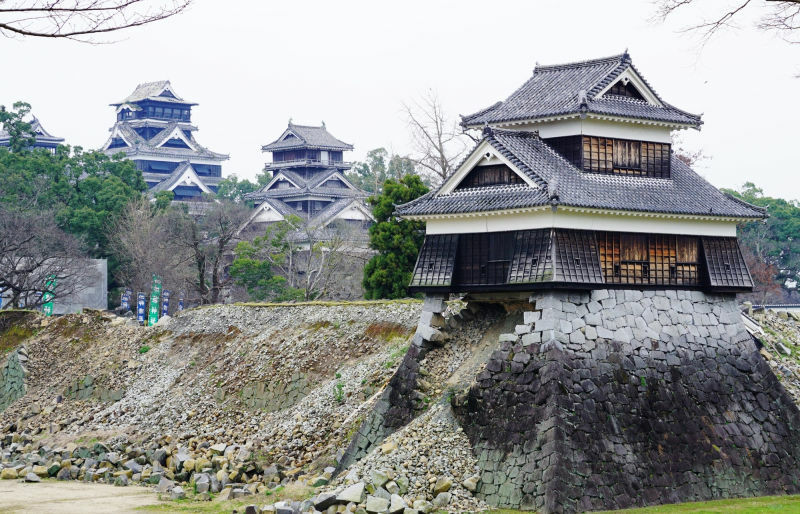 You can enjoy the historical townscape surrounding Kumamoto Castle in Kumamoto City. You might have a chance to meet the Kumamon bear, who is a popular mascot character of Kumamoto Prefecture. The castle is closed for repairs after Kumamoto was hit by the earthquake in 2016. However, the imposing and beautiful castle can be seen from a distance in select locations throughout the city. 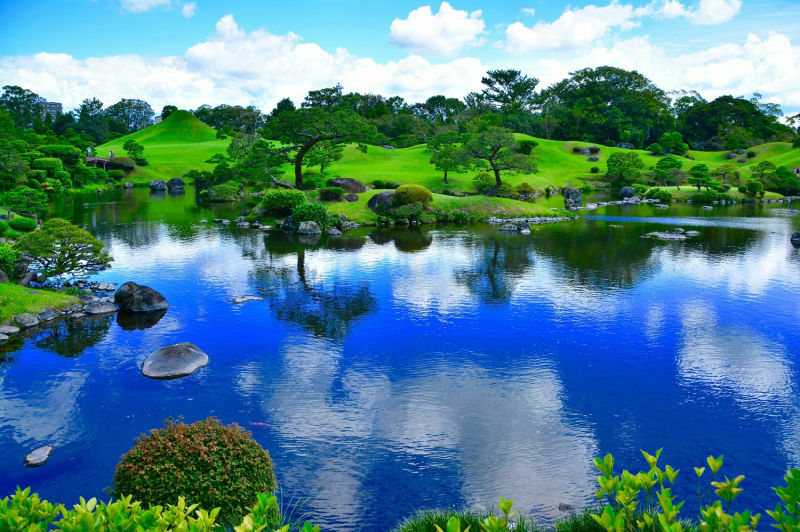 Established in 1636, the Japanese garden is extensive and spreads across 76,000㎡ (about 18 acres). You can enjoy strolling around the pond filled with beautiful spring water and have sweet dumplings at a café that will take you back in time. 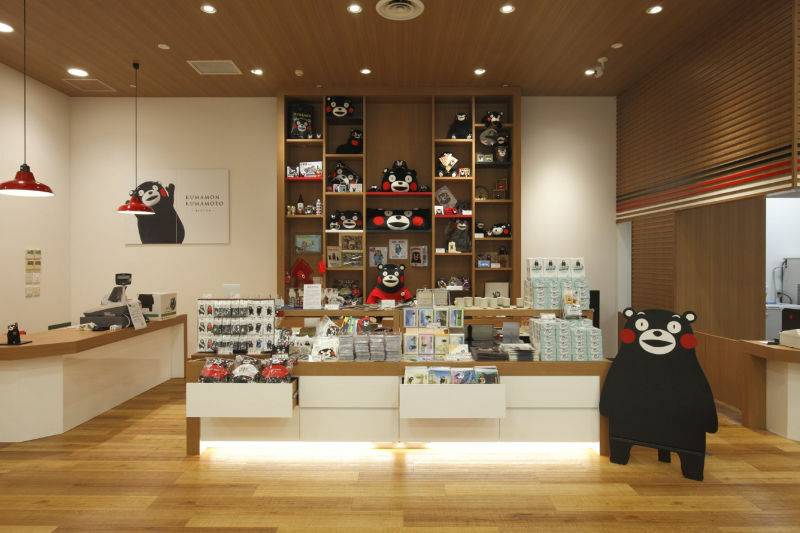 Here, you can meet the popular Kumamon bear, who is like a sales manager of Kumamoto Prefecture. Check the official website to find out dates that he is in the office. ◆Kumamoto Washington Hotel Plaza has an easy access to the streetcars! ・A short 3-minute walk to streetcar Karashimacho Station on Kumamoto Shiei Dentetsu. Convenient for sightseeing! ・The hotel has a coin laundry for your convenience. ・You can enjoy a breakfast buffet with over 40 dishes! Take Kumamoto Shiden from JR Kumamoto Station to Karashimacho Station. A 3-minute walk from the station. Enjoy the volcanic island of Sakurajima and Kagoshima gourmet! Located at the southern tip of Kyushu, Kagoshima Prefecture boasts the symbolic and beautiful volcanic island of Sakurajima. You will witness the wonders of nature and beautiful views such as Yogan-doro (lava road) that was formed by a former eruption. ◆Kagoshima has an abundance of delicious produce! Kagoshima is blessed with mild temperature and abundant nature. The locally grown meats and produce have a reputation for their exceptional taste. Especially local specialty dishes with Kagoshima Kurobuta pork are highly recommended. There are many acclaimed restaurants specializing in Kurobuta dishes. Kurobuta Shabu Shabu (hot pot of thinly sliced meat) is a very popular dish. The restaurant in the video is Kurobuta Ryori Ajimori and is known for its excellent customer service. 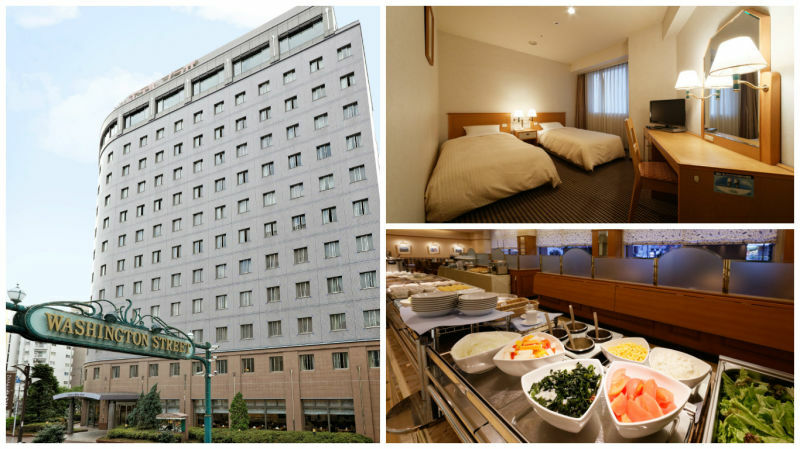 ◆Kagoshima Washington Hotel Plaza is in close proximity to the ferry terminal! 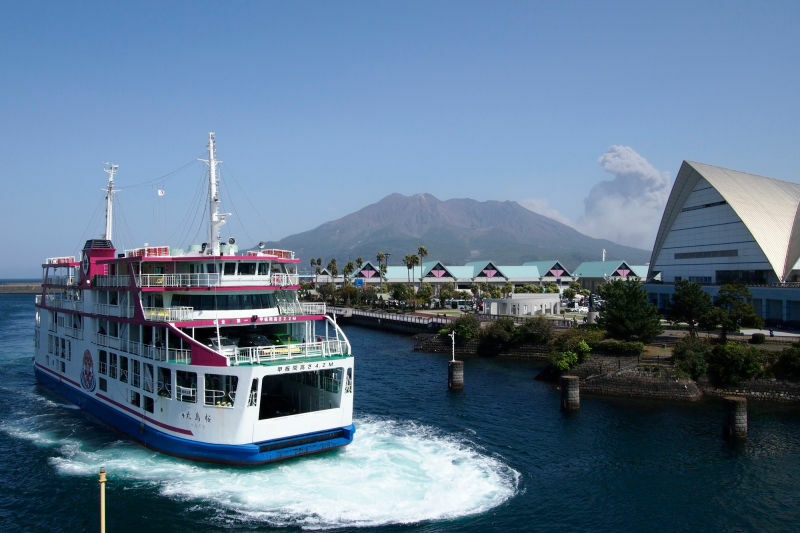 ・A short distance to the ferry terminal to Sakurajima! ・You can enjoy the regional specialty Kurobuta Shabu Shabu in the restaurant Sanjusangendo in the hotel! ・With a hotel plan with breakfast, you can have a substantial breakfast buffet in the restaurant that overlooks Sakurajima.